Unfortunately around 5-10% of the general population suffer with symptoms that come under the IBS umbrella, making it the most common digestive problem in the world and probably one of the most common chronic health issues that people have to cope with on a day-to-day basis. In fact 50% of people with IBS have been dealing with its effects from more than 10 years. Unfortunately the management of IBS is very poor. However due to the development of how we can assess gastrointestinal health and the explosion in research in the area of gastrointestinal health over the past 5-10years, this means we now have a much better understanding of the underlying issues that might lead to chronic IBS. 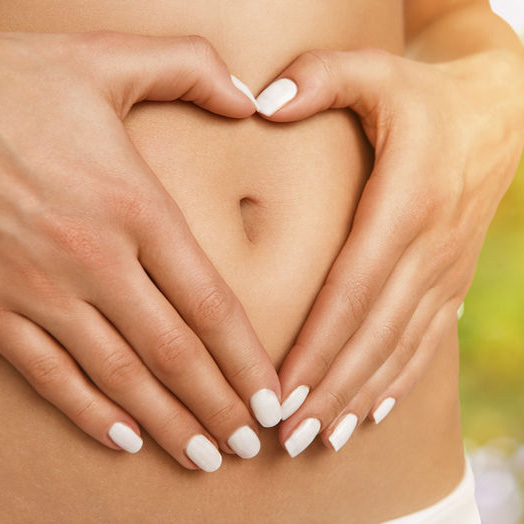 I want to give you an understanding of factors that may impact your digestive symptoms and also some considerations on how I would work with clients to help them resolve their IBS symptoms. My approach involves assessing the individual as a whole, firstly reviewing diet, lifestyle, family history and genetic susceptibility and environmental influences. We also look at potential trigger points to give clues, this might be exposure to pathogenic bugs such as food poisoning, exposure to bugs while travelling abroad, perhaps even looking at mental and emotional stressors and other immune challenges that may have caused a temporary depression in immune function. Once the basics have been established the nutrition and functional medicine approach is to follow a fairly structured process individualising it to each and every individual along the way. This involves looking at removing things that are potentially driving the IBS type symptoms. This might include investigating and addressing certain types of infections or overgrowths, or may mean removing certain foods that seem to trigger reactions, or we have actual evidence of immune or inflammatory responses. Once we understand what might be provoking your symptoms we can look to address the triggers. This means replacing certain food, lifestyle and environment challenges with ones that are going to be supportive of your goals. It may also mean supporting the body with specific nutrients or compounds that support digestion if there is evidence of poor digestion symptomatically or through testing. It is well established now that the types of bacteria we have within us have a significant impact on how our digestive system functions. Ideally the bugs within us coexist in supporting our health. Unfortunately when they get out of balance this can lead to unwanted digestive symptoms. There are now many ways in which we can help address that imbalance, particularly through the use of selective probiotics and prebiotics and where appropriate these can be used to help repopulate the gut. Unfortunately a major cause and effect of imbalances in the digestive system is the breakdown of our intestinal lining that protects the inner workings of the body from what is travelling through our digestive tract. Our digestive lining is like a bouncer on the nightclub door, allowing good things in, kicking bad things out and stopping bad things to get in. When this breaks down and things get into the body that should not this can trigger off systemic immune and inflammatory response that can lead to symptoms throughout the body including changes in mental function, joint pain, autoimmune responses to name a few. One of the most important areas to work on is supporting the integrity of the lining so that the body no longer feels as if it is constantly under attack from the outside world. Rebalance is something that is worked on from the start. It involves rebalancing your nutrition, sleep, stress, movement etc for the long term to help support the changes we are making but also to help prevent reoccurrences of IBS issues in the future. Most people want a magic pill to make themselves feel better, but unfortunately we are much more complex than that, so finding an approach that is unique to you is crucial in the longer term resolution of your symptoms. How can functional medicine help with IBS? My combination of training in Nutrition and Functional Medicine encourages me to look at the whole person and not just the symptoms. IBS is something that is incredibly complex and the potential causes of IBS are vast, meaning an individualised approach to IBS is crucial. You can see from the following list that a number of areas can contribute to the development of IBS symptoms. The reason I first got into Functional Medicine in around 2010 was because I was having some health challenges of my own. I was suffering with some typical IBS symptoms, low energy, foggy thinking, reduced libido, erratic mood swings, regular colds and infections, none of which seemed to be corrected with anything I could do. My symptoms had been persisting for around 2-4 years, and seemed to be progressively getting worse. I had grown frustrated with investigations carried out by my GP, and was eventually told the symptoms must be in my head. It was at that point that I looked to find another way. Fortunately I already knew of Functional Medicine and decided to work under a Functional Medicine Practitioner myself that I had recently seen speak at the Royal Society of Medicine. We reviewed my nutrition and lifestyle, which wasn’t too bad as I was working as a Nutritionist and Personal Trainer at the time. We then decided to run some tests to determine if there were any significant imbalances. Upon receiving my test results it was discovered I had two pathogenic bacterial infections and a number of suppressed hormones as well leading to a lot of my other symptoms. Within 3 months using a more functional medicine model approach I was free from any infections and feeling much better, within 6 months I felt back to my old self completely symptom free. It was my own experience that has driven me to provide something better for the people I work with each day, something better than “It must be in your head”! 6 weeks after listening to Stevens advice I no longer had a face of acne. Some weeks after that I was no longer battling IBS each day. And some weeks after that my exhaustion levels had changed dramatically. I feel like I have my life back. I had spoken to many people over the years and no one previously was able help me. Steve’s knowledge of the body is, in my opinion, unmatched. My consultation process is simple; as with all clients it starts with an initial health screen, review of health history, medical history and review of your nutrition and lifestyle habits. From there we can discuss and draw up nutrition and lifestyle goals and discuss if any additional testing might be required to determine underlying causes of your symptoms. Utilising the methods I have spoken about above, I have been able to help many clients overcome their digestive challenges. If you would like to explore working with me then please either feel free to contact me to set up an initial consultation or to schedule a brief chat to help me understand your current situation better and where your starting point might be.